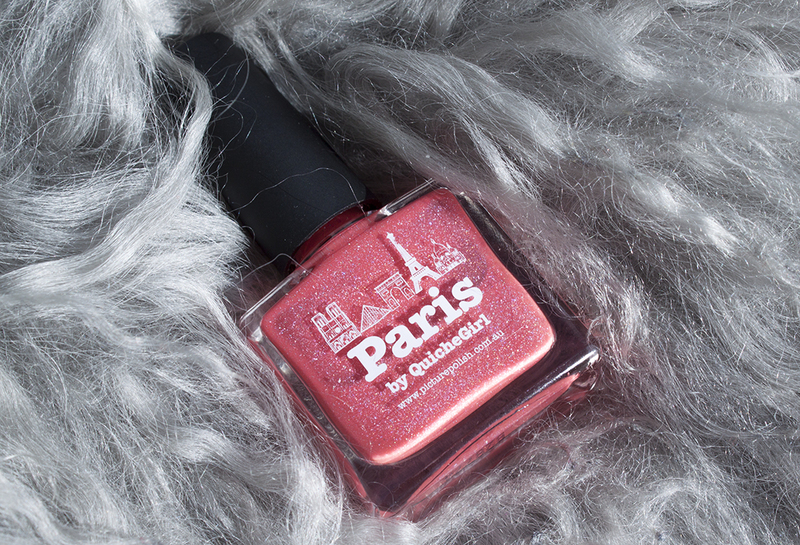 piCture pOlish – Paris is one of PP collaboration polishes and this one was made with QuicheGirl. 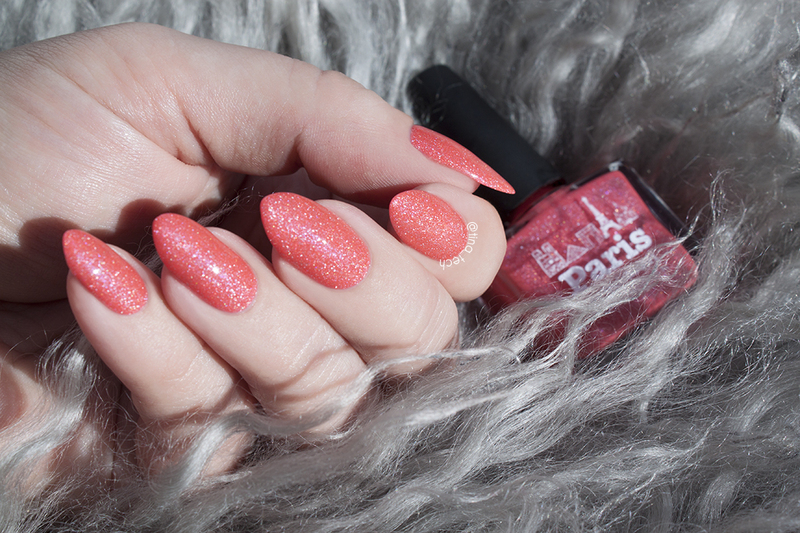 It’s a coral/peachy pink holographic polish with a hint of blue hue in it. It’s absolutely gorgeous, and even the bottle is super cute! I needed two coats to get it completely opaque, and it went on really smooth so I didn’t have to do any clean-up! I bought mine from the Norwegian stockist norwaynails.com, but it can also be bought from piCture pOlish own site, or a wide variety of other stockists around the world. I have to take out my holo nail polishes…you made mood for them. Paris looks lovely on you!